Just like humans, dogs can be allergic to certain types of food, flea bites, pollen, mold, and household chemicals. While there are several prescription medications available from your veterinarian, she may also prescribe OTC medications created specifically for humans. However, it is not safe to give your dog such medications without specific instructions from your veterinarian. Human antihistamine medications such as Claritin (Loratadine), Benadryl (Diphenhydramine), Tavist (Clemastine), Zyrtec (Cetirizine), and Atarax (Hydroxyzine) are often recommended by veterinarians for use in treating dogs. These medications fall into a specific category of antihistamines called H1 blockers. They work by targeting histamines, a substance in your body exacerbated by exposure to something you are allergic to. H1 blockers can provide allergy relief not only for people but also dogs and cats. However, you should never give your pet this type of medicine without first consulting your vet. While your veterinarian may prescribe Claritin to help relieve your dog's allergy symptoms, she will have to calculate the correct dosage based on your dog's age, weight, the severity of the symptoms, and the type of allergies. She will also take into consideration other medications your dog is currently on and any health conditions that may be adversely affected by the Claritin. Do not attempt to give Claritin to your dog without first speaking to your veterinarian. There are no canine conversion directions in print indicating the exact dosage of Claritin for dogs as it is considered "off-label" use. While you may find guidelines online or get suggestions from other dog owners, using any drug without discussing it with your veterinarian can have potentially severe negative side effects such as antihistamine poisoning and even a stroke. Do not assume that it is safe to give this medication to your dog unless advised to do so by your veterinarian. There are many factors that go into correct dosage beyond just weight and an owner can easily cause their dog to become ill. Weight is also unreliable as a general basis for calculation. Unless you own a scale or visit your vet regularly for checkups, you may estimate your dog's actual weight inaccurately. If your vet is comfortable prescribing Claritin for your dog, you should take care to use regular Claritin and not Claritin D. Claritin D contains pseudoephedrine that can be toxic to dogs, and it can be lethal. According to the American Veterinary Medical Association, just three 30 mg tablets can lead to death for a 20-pound dog. Every dog can react differently to medications. If your dog appears to have a strong reaction to any antihistamine you give him, refrain from administering the next dose and call your veterinarian immediately. 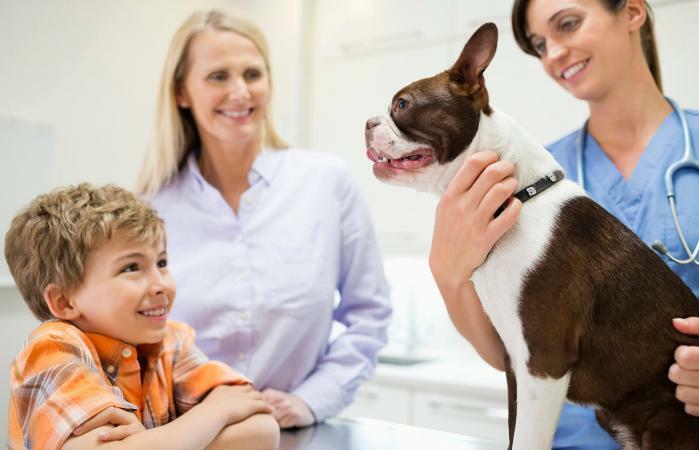 With your veterinarian's guidance, Claritin can be effective in treating your dog's allergies. Remember to always speak to your veterinarian before using any OTC or prescription drugs to find the correct dosage for your dog and learn about potential, and sometimes deadly, side effects.